Hirwaun has been the crossroads for tracks and pathways from time immemorial. They had developed over the years into thoroughfares for people traveling from all points of the compass linking Swansea/Glyn Neath to Abergavenny/ Monmouth and Brecon/Penderyn to Pontypridd/Cardiff. 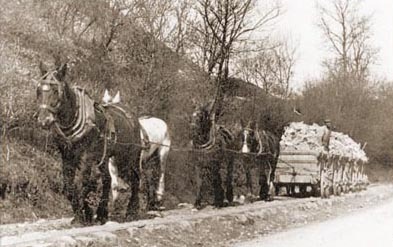 All these were linked together at Hirwaun and eventually evolved into the roads we use today. Saturday. Another service which ran four times a week during the summer months was “The Imperial” which started at Brecon for Swansea and could be boarded at Merthyr and Hirwaun. The Bristol Mercury Newspaper dated June 1835 announced that a new Mail Coach would commence running on the 6th of July from Swansea to Merthyr accommodating the inhabitants of Neath, Glyn Neath and Hirwaun. 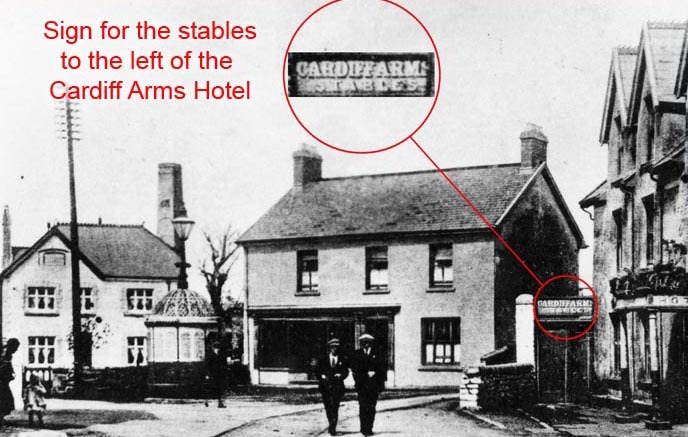 The Cardiff Arms, standing in the centre of the village , was the coaching inn on this Swansea-Merthyr-Brecon route. Fresh horses were stabled there and exchanged at this mid-way point of the journey. Mail was also dropped off and collected at the inn. This is a typical Royal Mail Coach – a horse drawn carriage that carried mail and was drawn by four horses. It had seating for four passengers inside. 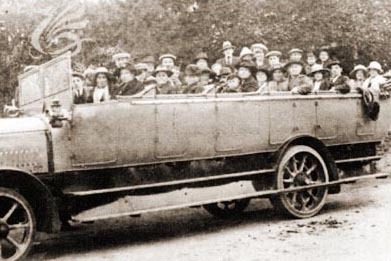 Sometimes one passenger was allowed to sit outside with the driver. The mail was held in a box at the rear where a Royal Mail Post Office guard stood. 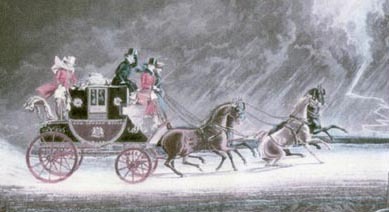 The mail coach was faster that a stage coach as it only stopped for delivery of mail at recognised stopping places and was not for the comfort of the passengers. Royal Mail Coaches were phased out in the 1850’s as the railway network expanded. By the 1850’s the railway had arrived at Hirwaun – the Vale of Neath Railway. This railway provided a service from Neath via Aberdare to Pontypool Road and was known as The High Level Railway. Very soon a branch line was constructed from Hirwaun to Merthyr thus Hirwaun became a junction for connecting trains for Llwydcoed and Abernant. 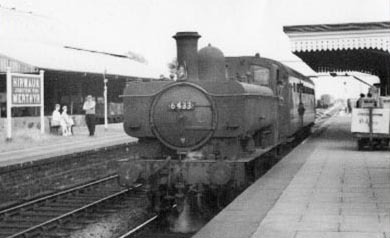 The Vale ofNeath Railway was a very popular line and remained so until 1964 when Beeching decided that all passenger services in the area would cease. He reduced the two line as far as Rhigos to one and the rest of the line towards Glynneath and down the valley was taken up. The single track from Rhigos to Hirwaun and down the Cynon Valley was only used for freight – coal carrying from the Tower Colliery to Aberthaw Power Station. World War they introduced motor buses. These charabancs in the early 1920’s had solid wheels. This one, outside the Vicarage in Hirwaun, is ready to leave. Also many private bus companies sprang up with their charabancs e.g. Manning, Probert , Williams of Penderyn who ran a bus service from Penderyn via Hirwaun to Aberdare. Right: John Power was a bus operator on a small scale in the 1950’s. 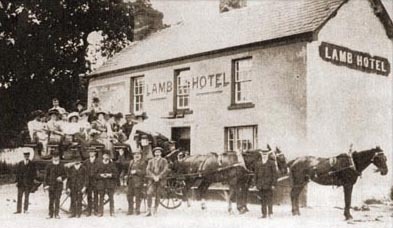 John was a coal merchant in the village and owned a bus which was used for private hire.